The Government want all the student can take interest in science relates subject, so Government launched the new mobile application that called by Vidhyarthi Vigyan Manthan, its short form is VVM. Vidhyarthi Vigyan Manthan launched by the State minister Alphons Joseph Kannanthanam. VVM (Vidhyarthi Vigyan Manthan) is an one type of mobile application. The app will be used for National Science Talent Search examination. Vidhyarthi Vigyan Manthan application will test the aptitude of school level student and provides monetary to the winner students. This VVM scheme is stands for to encourage the students to take part in the all competitive exams which is Indian basis competitive exam. The VVM application test will be conducted in 2017 but implementation and launch has already started. The National Council of Education Research and Training has been published the notification regrading VVM (Vidhyarthi Vigyan Manthan). All interested people can apply for the Vidhyarthi Vigyan Manthan. it has been started 1st July and ended on 30th September, 2017. Required study materials will be uploaded on the web page on 1st oct, 2017. Hall Tickets will be given on 25th Nov, 2017. The first round will be confirmed on 26th Nov. The state level camp will be organised between 10th Jan, 2018 to 25th Feb, 2018. the national level camp will be organised between 12th May, 2018 to 13th May, 2018. Encouraging Students : The scheme has been increasing the interest of school students in science related subject. The students can get Monetary. they can get chance to visit the institutes which increase the knowledge of them. Increment of Students Participation : The student can registration via school. the scheme will provide encouragement to all the school level students to take part in the VVM scheme and can give chances. Increase Student Knowledge : The syllabus has been entrusted with the NCERT. VVM exam syllabus and the academic curriculum of the classes both are the same to each other. VVM will revising the topics for the main exam of the school. junior and senior batches : Here two partition are junior and senior in which candidate can be divided in these two partition. The candidate who studying in standard 6th to 11th will take part in the VVM competitive exam. in the junior partition, 6th to 8th standard students may included and 9th to 11th standard students may included in senior partition. Student Knowing about Technology : VVM application can conducted the test. Technology exposed to students. Examination : The VVM examination will conducted at various level where each level will test the aptitude of the students.Tier 1 held by School authority. Tier 2 held by district level authority. tier 3 held by state level authority and tier 4 held by national level authority. Vijnana Bharati : Vijnana Bharati is also called by this name ‘VIBHA’. it is a national movement. VIBHA stands for scientific contributions made by India. Now In our country we are the largest scientific organization having the longest chain of state units and networking institutions. Vigyan Prasar : VP is short form of Vigyan Prasar. it is a national institute. VP is stands for science and technology communication that was established in 1989 under the Department of Science and Technology, by the Government of the India. also It stands for scientific and rational outlook in society, nurtures interest in science, encourages creativity and develops capacity for informed decision making. NCERT : NCERT’s full form is National Council for Educational Research & Training. it is an organisation. in 1961 it was setup by the Government of the India. it stands for to advise the central and state governments on academic matters related to school education. Students or candidates have some rigidity, requirements to apply for the VVM scheme. some criteria relates with the VVM scheme are below, you have to follow these criteria where various criteria such as relates with class, school, gender factor. Class Criteria : The Students who are studying in 6th to 11th standard will be able to take part in the VVM scheme. School Criteria : Any school which registered with the NCERT will be able to apply, where school can be under the ICSE, CBSE, State Board or KV Board. Gender Criteria : Any girl or boy who knows about the requirements can be seat in the VVM exam. School Application must Required : The school will have to register its Name before the candidates can apply for the VVM scheme. Without the School application students’s application will not be proceed. VVM (Vidyarthi Vigyan Manthan) is an starting of VIBHA (Vijnana Bharati). The National Council of Education Research and Training with concert an institute which is under the Ministry of Human Resources and Development and Vigyan Prasar and an autonomous organisation under the Department of Science and Technology, government of india. for educating and popularising science the VVM is a National program which is among school students of 6th to 11th standards. VVM is stands to identify the bright mind of student community who has related with the science subjects. 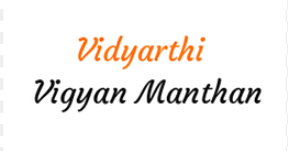 VVM (Vidyarthi Vigyan Manthan) is an unique online examination. VVM is conducted at national level. The student who are registeredin the VVM scheme will take part in the exam using its own devices such as a laptop or tablet or smart phone with any OS like android or IOS and with its own internet connectivity. The school level examination which will be conducted at national level, on the same day and at the same time. The examination will be conducted for the Junior Group in which 6th to 8th standard students included and for the Senior Group in which 9th to 11th standard students included. Evaluation of examination of students will be based on their individual performance at every level school or state or national. The examination will be conducted in various language namely, English, Hindi, Malyalam, Tamil, Kannada, Telugu, Marathi, Gujarati, Odia, Bengali and Punjabi. The examination will conducted by School, that should provide classrooms and invigilators. 20% amount will be collected from the school will be kept by them and 80% amount will be transferred to Delhi Office of VVM through RTGS/ NEFT. How to Download the Application ??? The VVM application will be available for download from the profile page of the student when the registration process has been completed. The VVM application will be download from the registered devices such as Laptop/ Tablet/ Mobile Phones. Depending on the type of the registered device (Android/iOS/laptop) the corresponding application will be downloaded to the client device from vvm.org.in. The student profile page will contain detailed instructions for download the application and installation of the application. You can use the above link will be available for more details and in case of any issues along with help line number. VVM application is fully web based online procedure. Firstly, must select the exam coordinator. registration must be done by school authority. The coordinate will have the responsibilities. he will have to fill the Form and to submit it. Enter the details of the school such as School_Name, School_Address, GEO Mapping of School, UDIES code of school, Principal Name , Name of the Coordinator who conduct the exam, Mobile Number, Email ID etc. This information will be shown as school profile on VVM application. When your VVM registration process was complete then VVM authority have to make the verification. The entered data will be verified by VVM respective authority through sending one-time password (OTP) and an Email ID verification link on registered mobile Number and Email ID respectively. UDIES code of School will be used as school identification number. All registered schools have an verification link that is sent via email. the coordinator must provide the proper email id. The Exam coordinator can register students who want to take part in VVM online Exam. The Student personal details are Student Name, Student Class, Student Email ID, Student Mobile or Phone Number, Student Aadhar Number. schools can be register the students online or also can download editable excel format which are available for offline data entry to upload it. This information will be displayed on the student profile page of VVM app. The data can be uploaded online after the offline completion of the entries of the data. Exam coordinator is authorised for modification of student’s information on its registration page if its required. Each registered student can get an OTP and email on its registered mobile number and email id after successful submission and payment. By entering an OTP, The student will complete the verification process. The student will be automatically redirected on the student profile page, After successful verification. The details of the student like profile photo needs to be uploaded mandatory by the student using App, in the student profile page. On confirmation of device details and completing the profile information the student registration process will be complete. Student can modify the already filled details of its device before 72 hours. The Student roll number for application, that will be generated by 15th Nov, 2017. Student modification details are with the coordinator of school. Exam make user friendly to build the confidence of the students. regularly, mock test will be made available. if you registered your number at registration time so, the registered students will get regular notifications regarding the exam. also you can check the profile page of the student which displayed in the top part of the application. in the profile student personal detail and photo for identification are there. the student can view the results of mock test in its profile page after completion of the mock test. student can report to our admin support if he/she faces any problems After verification of the answers. The Exam paper will contain 100 question in all topics are mentioned below. question are OMR type. each question will have 4 options. the candidate will have to choose the one right option. each question value is 2 marks. when your time is over or up that time the VVM application will stop automatically. The question paper will be available in many languages, candidate will have to choose in one language that are well versed in. Tier 1 Winner : school level exam will conduct here. In this level winners will get merit certificate from the respective authority of the department. here, 18 candidates will select for the award in which select top 3 students from each class. Tier 2 Winner : District level exam will conduct here. 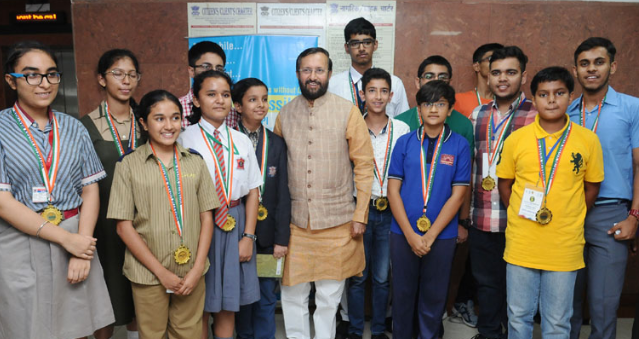 In this level winners will get merit certificate from the respective authority of the department and also they get educational trip to any research institute that is located within the district. here, 18 candidates will select from the entire district for the award in which select top 3 students from each class. Tier 3 Winner : State level exam will conduct here. In this level winners will get opportunity of part in the camp and also get the memento and state camp certificate from the respective authority of the tier 3. here, 18 candidates will select from the state for the award in which select top 3 students who are receive monetary award from each class. the student who topped on first position get the Rs. 5000, who topped on second position will get the Rs. 3000 and who topped on third position will get the Rs. 2000. Tier 4 Winner : National level exam will conduct here. here, 18 candidates will select from the country for the award in which select top 3 students who are receive monetary award from each class. In this level winners will get national camp partition certificate and also get the memento. the student who topped on first position get the Rs. 25,000, who topped on second position will get the Rs. 15,000 and who topped on third position will get the Rs. 10,000. they get educational trip to any research institute that is located within the country. The students who get the rank in VVM exam, they get special facility like camping. here two types camping are there : 1. State Level Camp 2. National Level Camp. State Level Camp : The students who got the rank from the each class or state will be invited for the 1 or 2 days state level camp within the state, they should come for state camping with its own travel expenses. the venue and details of the camp will be informed to all the students. in state level camping Application Oriented Multiple Choice Questions, Hands-On Activities, Observation and Analysis, Situational Problem Solving Ability and a series of other activities were consisted. National Level Camp : The students who got the rank 1 and rank respectively from the entire state, will be invited for the 2 days national camp within the country. National camp Presentations, Scientific Understanding, Innovation and Creativity, Out of Box Activities, & Assessment of Leadership Quality etc factor are included in it. VVM Scheme provide the academic skills to the students by taken test or competitive exam. By using VVM Student’ parents can send wards to the school. also VVM portal is encourage the students and provide the right environment to the students. VVM use the data usage and session internally, to serve to the users and students can take more advantages from this VVM app. VVM do not store the personal information of registered students. VVM team do not combine the both information which are personal information and non personal information. VVM scheme also used the net banking for the payment procedure. VVM designed competitive exam uniquely. before syllabus released, experts check first and then after it put the publicly. The candidate who participated in VVM they will not be able to appear for the exam without the latest updated device which registered by candidate.